C Program to find the area of an isosceles triangle – In this specific article, we will detail in on the several methods used to calculate the area of an isosceles triangle in C programming. Check out the complete blog to understand the ways. 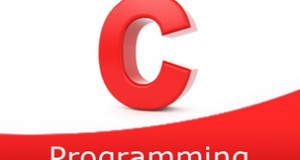 The compiler has been added to aid you with the solutions. Also, check out the sample programs and suitable examples to calculate the area of an isosceles triangle. As we all know, an isosceles triangle is a triangle in which a couple of its sides are equal. Because of this specific trait, the angles opposite to the equal sides are also equal in nature. 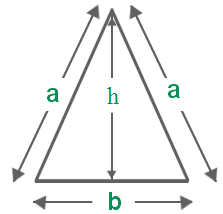 As you can see in the image uploaded above, the isosceles triangle has a couple of sides with equal length a. b is the base and h is the height of the isosceles triangle. Area = 1/2 * Base * Height. Here (b)*sqrt((4*(a*a)-(b*b)))/4 was defined as area(a,b).